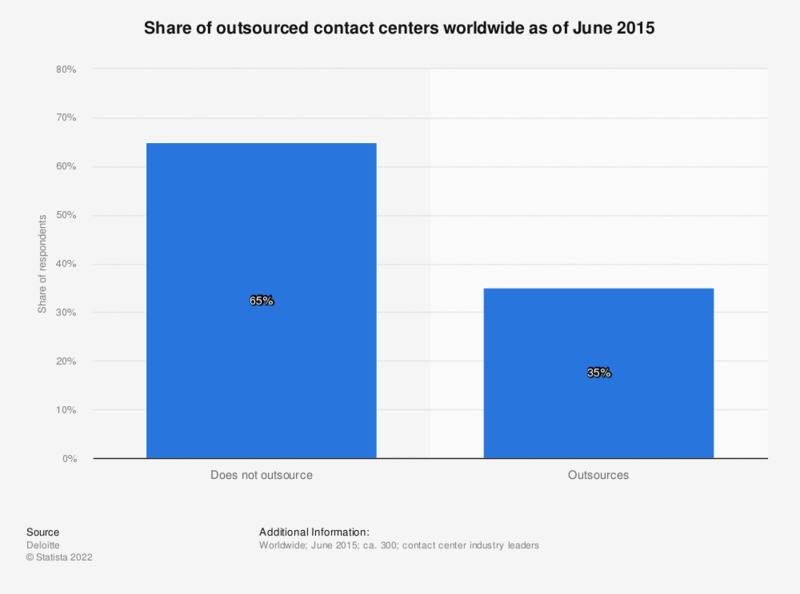 This statistic shows the share of outsourced contact centers worldwide as of June 2015. During the survey, 35 percent of contact center industry leaders stated that they outsourced their contact centers. In 2015, the global outsourcing industry generated 88.9 billion U.S. dollars in revenue. The source does not specify a type of survey. What service can your contact center support, now and in the future? United Kingdom: Which of the following methods do you use to communicate or interact with the Nation Westminster Bank plc?